A GUI (Graphical User Interface) which is accessible from the web. A multi-hierarchical user management system with different administrative rights. This application of the MDC facilitates the utility to monitor load profiles and other metering data through any web enabled device. At a single point in time, several users can access the application using authorized user IDs. Moreover, the users can generate various types of graphical and tabular reports. 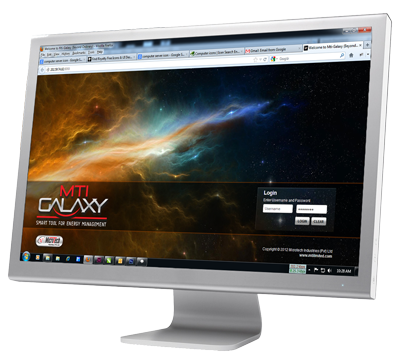 MTI Galaxy keeps the users informed about the meter communication and status. A pop up of the critical alarms and events is displayed immediately on MTI Galaxy interface when that event/alarm is triggered. Not only a pop up is displayed but the system can also be configured to optionally send an SMS or Email to the relevant personnel to look into the problem and timely rectify it.